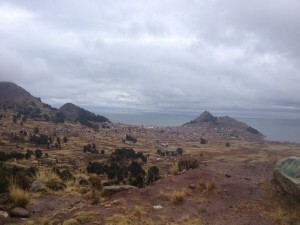 Tourist life for two weeks in Cusco went well and it was time to get going. Dan and Gina ( https://fatcycling.wordpress.com/2015/08/18/snow-to-sweating-bikepacking-the-salkantay-pass) whom I met in Cusco were interested to visit the salinas in the sacred valley. We quickly made a plan to do a short loop around Cusco. 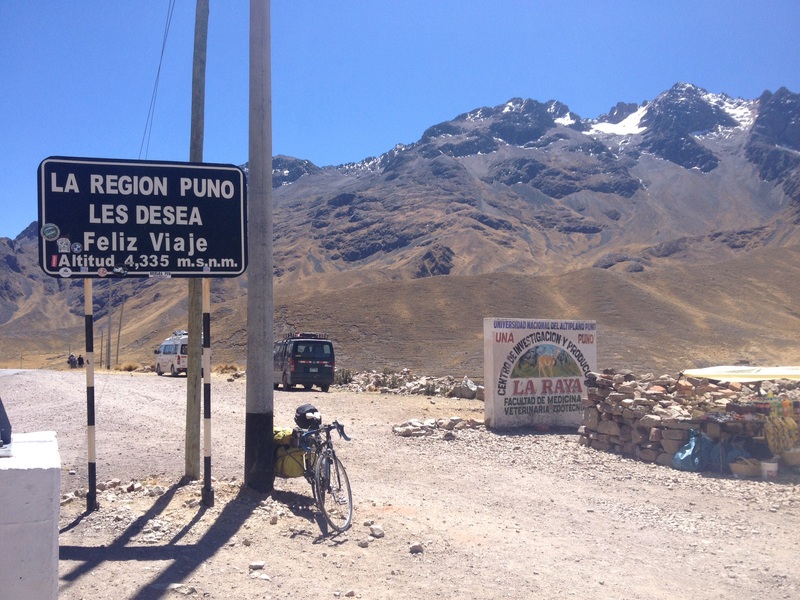 I had visited the sacred valley on a bus but on a bike it was more rewarding especially the views of the snow covered mountains. On the first day we had to climb over a pass and drop down to the town Urubamba where we stayed two nights. 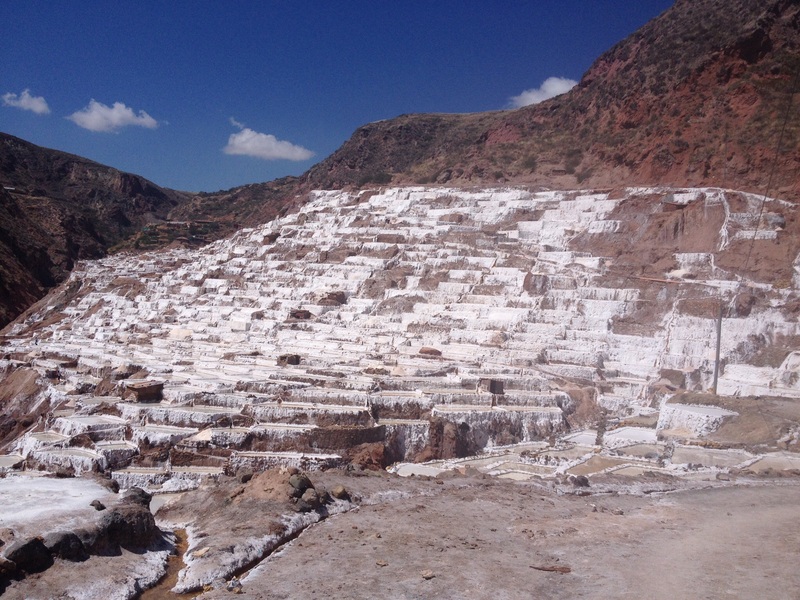 Salinas de Maras was just a short ride from the town Urubamba followed by a 25 minutes walk up to the actual site. It was totally strange – hidden in the valley away from the main road, on the slopes of the mountains, were these white patches of glaring, salt pools. 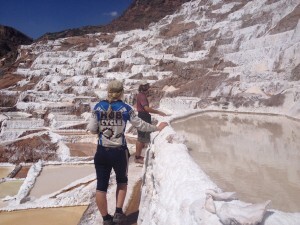 The water from the mountain was diverted to these pools where the salt crystallised with the help of the sun, organic some might say. 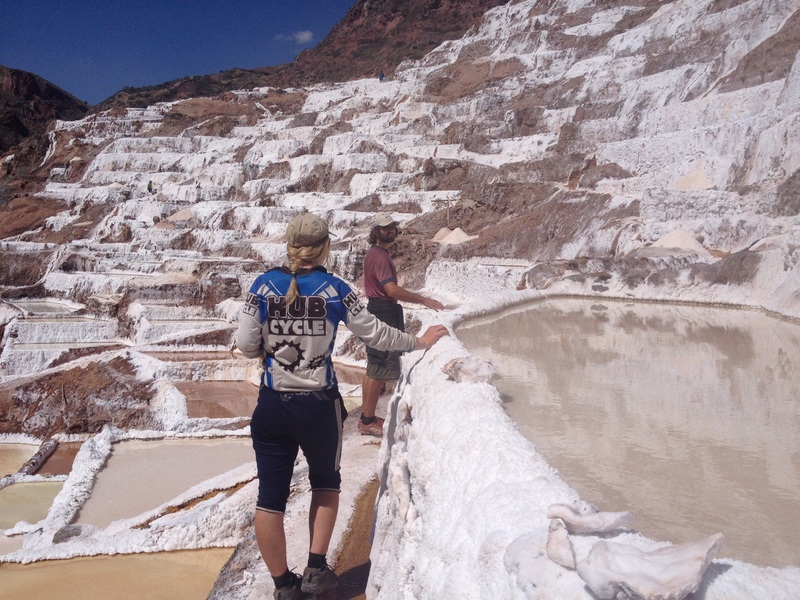 We wondered around the salt ‘farm’ for more than an hour and got back to Urubamba to make some curry. 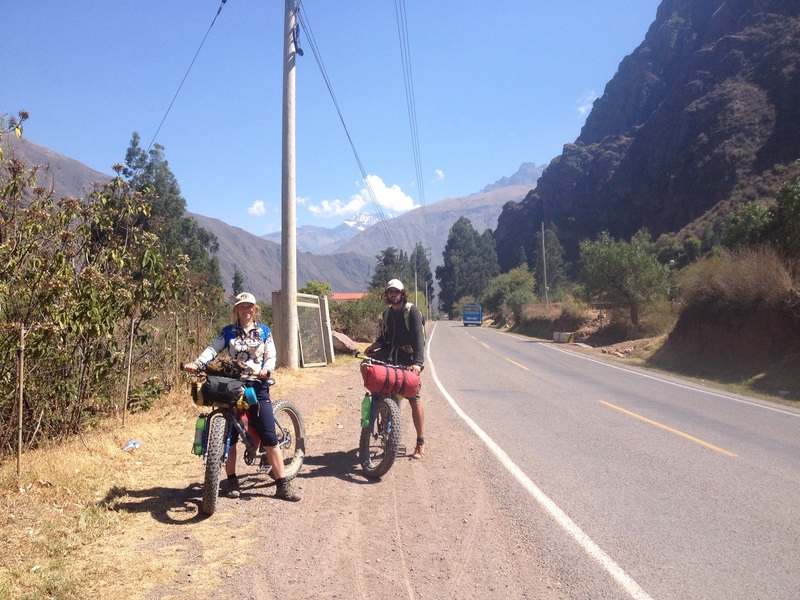 The third day we cycled via Pisac to the town called Oropesa about 71 Km’s away. The traffic in the sacred valley was heavy but after Pisac it was quieter and was a lovely ride. Dan and Gina were on Fatbikes which were more for trails and rough terrain. My road bike was the opposite. The noise of the Fatbike on the asphalt was like a A380 ready to take off. I understood why Fatbiker’s don’t like asphalt! It was a great three days of ‘leisurely’ ride and I had great time with both Dan and Gina. On the fourth day we split. They went back to Cusco while I continued south. The ride to Sicuani from Oropesa about 117 Km’s away was a bit slower than expected, blame the headwinds. In Sicuani where I stayed, there were at least 10 chicken shops all next to each other selling the same thing. If you hail from a world where choice is part of the fabric of the society Peru will make you think twice. 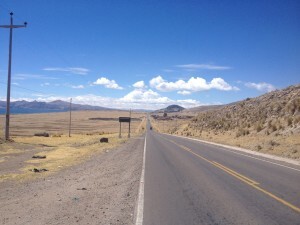 After Sicuani it was a 32 Km climb, a very gradual climb, gaining 700metres altitude, to the top of the pass at 4330m followed by a downhill into the altiplano (translated plains at altitude). 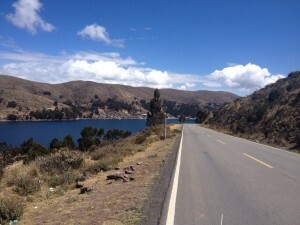 I was hoping for some lovely road riding on the altiplano but headwinds won the day. Wind chill factor was not just a concept anymore, it was learnt through experience here. 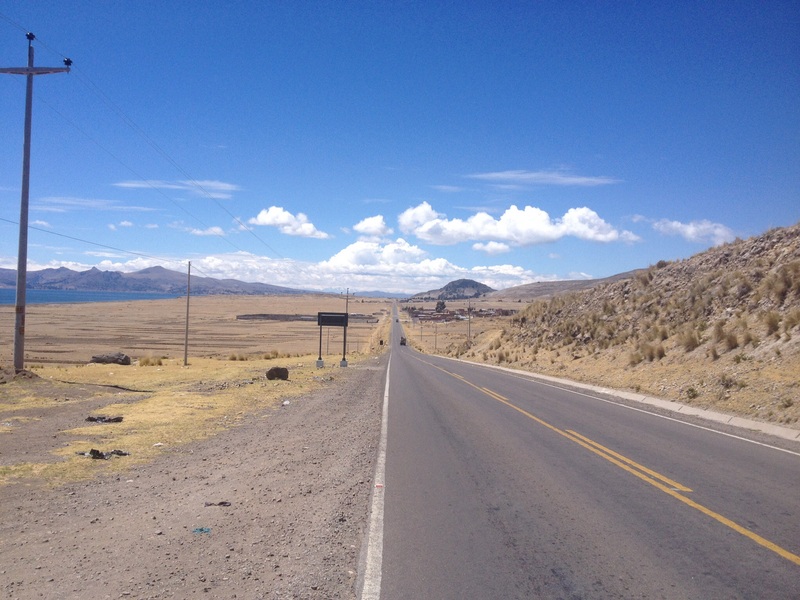 Some of the roads in the altiplano were straight as a ruler which was amazing considering the altitude. The towns and village in this terrain were like mirage except that they were true – they were much further than they appeared. After a total of 109 Km’s I arrived at Allaviri, a dusty town in the middle of nowhere. Here I stayed in a bomberos (fire station) who let me sleep in the stretcher in their ambulance! 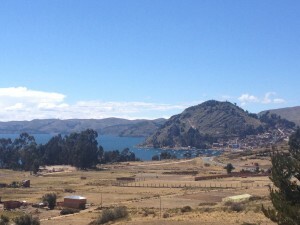 This town was at 4000m altitude and was freezing cold. For instance the water bottle I left outside during the night had ice in the morning. Thankfully they did not needed the ambulance for the night and I had a warm night. Also, it was a total surprise to find a nice vegetarian restaurant in this town. 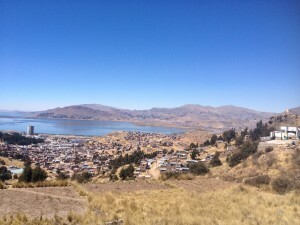 Juliaca was another dusty and dirty big city at the northern end of lake Titicaca about 90 Km’s away from Allaviri but in the absence of wind, riding in the altiplano was a treat. The following day was a short ride to the town of Puno, a nice city on the shores of lake Titicaca. Here I stayed for two nights with a lovely Warmshowers host, Ricardo. I was ecstatic when I spotted a coffee shop that offered full english breakfast. 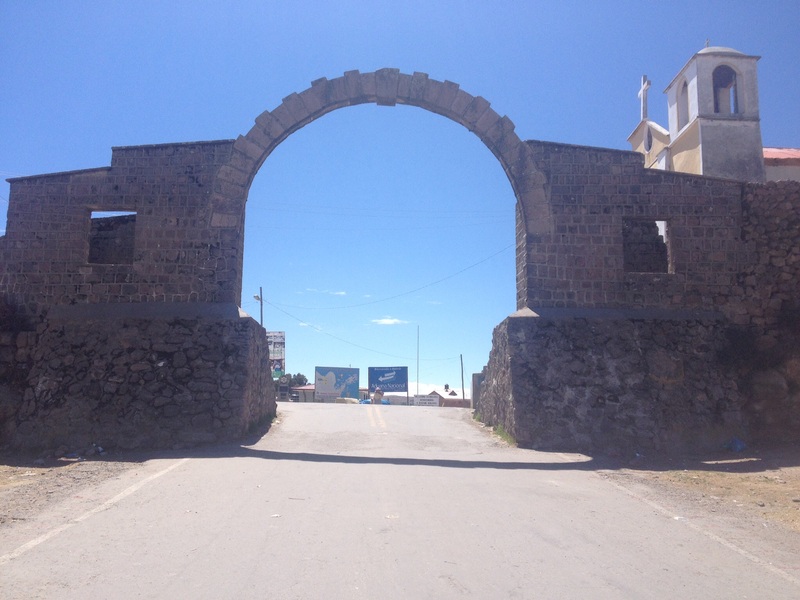 During my two days stay in Puno I returned to that coffee place at least three times – Make hay while the sun shines. 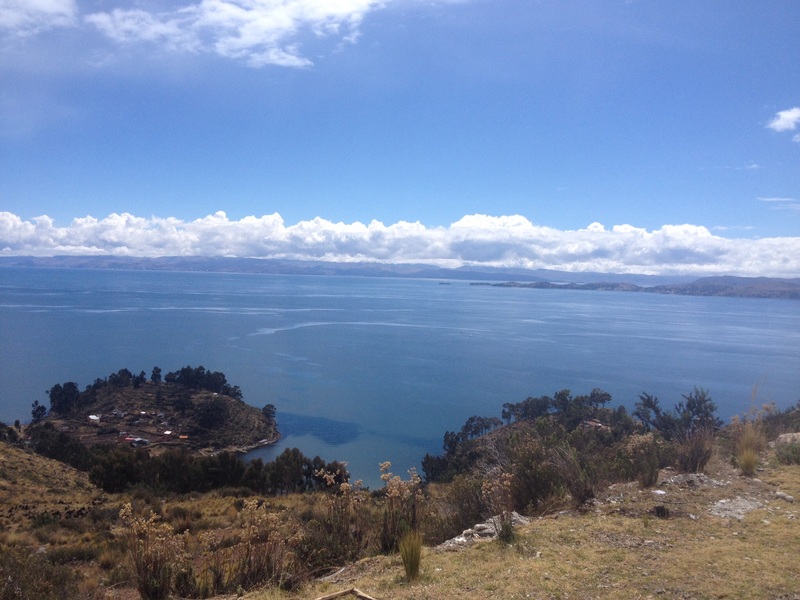 After Puno it was about four days of riding to La Paz, three of which were along the lake Titicaca which was almost like a ocean on its own. Riding along the lake might sound romantic and it was, only when the wind god was not angry. 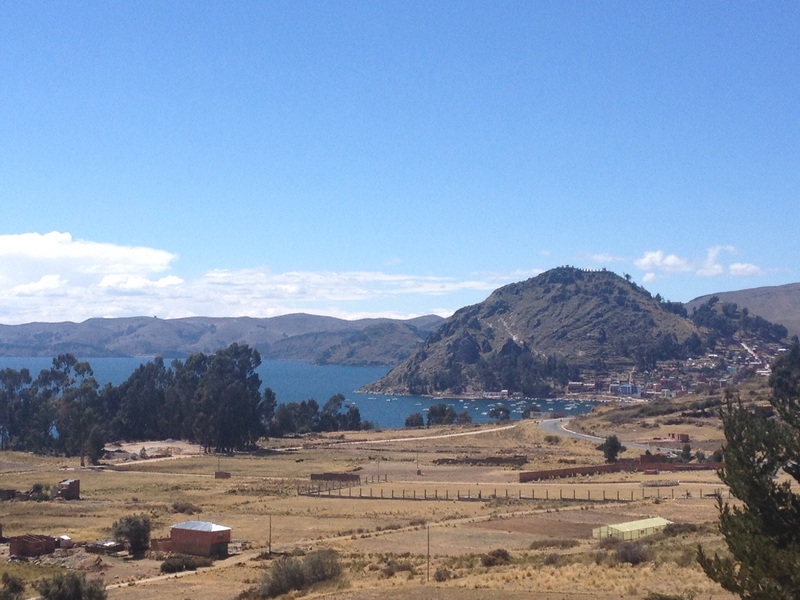 Puno to Juli was just another day of riding, about 81 Km’s away. From Juli, it was 60 Km’s of riding to Copacabana involving a border crossing. On my previous visit to Bolivia about 10 years ago, I was detained at La Paz airport for interrogation by a higher officer. At that time I was living in South Africa. An Indian passport holder living in South Africa, visiting Bolivia via Argentina rang the alarm bells I guess. 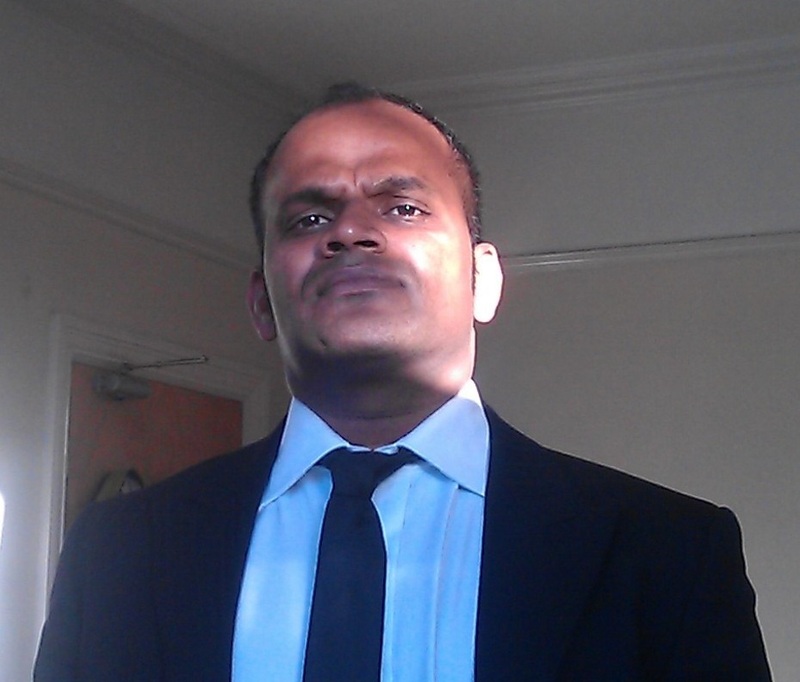 But this time, with British passport, I had no questions. 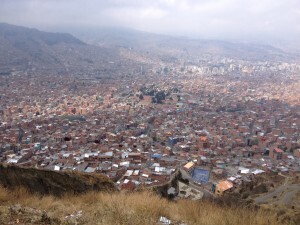 To the contrary I was asked how many days I would like to stay in Bolivia. Does the passport change the identify of a person? Copacabana was a famous beach town, overrun with tourists both local and foreign. I saw a new car being blessed in this beach by a local shaman/priest/guru/whatever. It was funny to watch five bottles of beer being sprayed all around the car and over the tyres. The rest day here was not well timed, it rained and it was freezing cold. The ride out of Copacabana was fantastic, there was a steep climb about 12 Km’s followed by some undulating roads where riding on a narrow strip of land in the lake offered stunning views on both sides. At the end of this was the strait of Tiquina which I crossed it on a rickety boat. Since the lake separates Peru and Bolivia there were some immigration cops here to catch illegal immigrants. I was double checked and then let go. The only thing that was missing was signs of ‘refugees welcome’ or ‘rescue boats’. Nevertheless everything went fine and the last day of ride to La Paz was just plain annoying. Bolivians drivers were worse than their brothers in Peru. 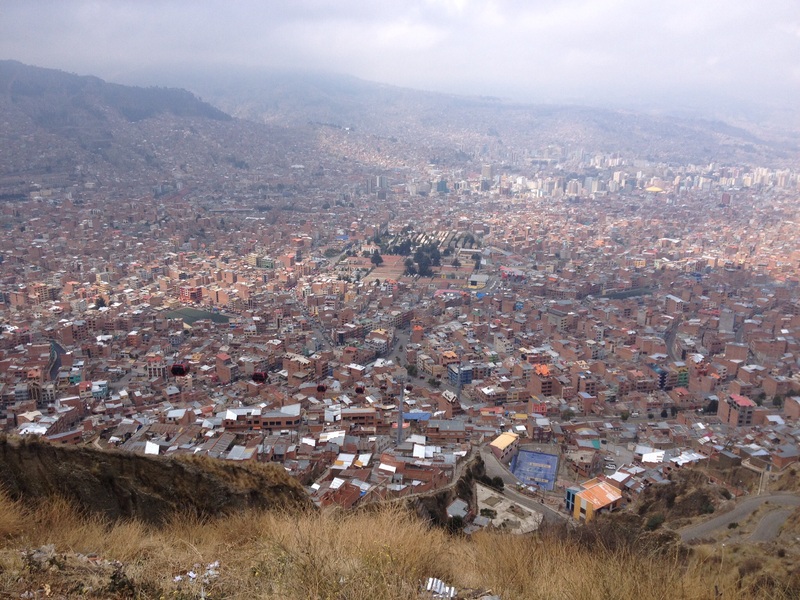 I don’t seem to recognise La Paz much from my previous visit, except for the President’s house and the lovely coffee shop ‘Alexander Cafe’. Cusco to La paz route (784 Km’s): Cusco – Urubamba (70) – Oropesa (71) – Sicuani (117) – Allaviri (109) – Juliaca (90) – Puno (42) – Juli (81) – Copacabana (60) – Huarini (77) – La Paz (67). The roads were paved all the way. The traffic gets lot better about 50 Km’s after Oropesa and gets worse again before La Paz. The road numbered 2 from Huarina to La Paz was paved and was being expanded when I rode it. Because of the road works there were short sections of dirt road which due to the previous day rain was a mud bath. The spectators on the side of the road were not hesitant to laugh at me battling through these sections – elsewhere this would be considered rude. Lakes look amazing, did you swim?! I would enjoy watching you ride through the mud too! Sleeping in an ambulance – great adventures! !